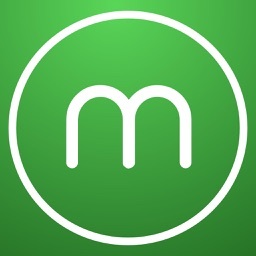 Super Mario Run by Nintendo Co., Ltd. If you love playing Super Mario Run but find some of the courses take too long, you'll love the new Remix 10 mode. Run, Mario, Run! 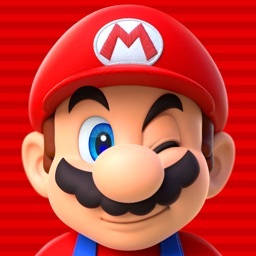 Mario is finally on iOS! 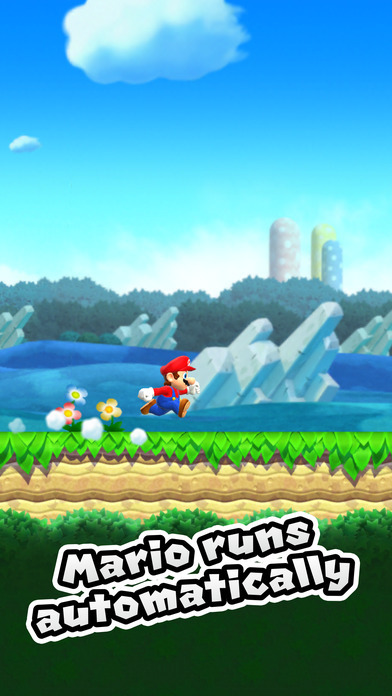 In Super Mario Run, you'll use one-touch tap controls to control Mario as he runs and collects coins. Face Off Against Bowser. 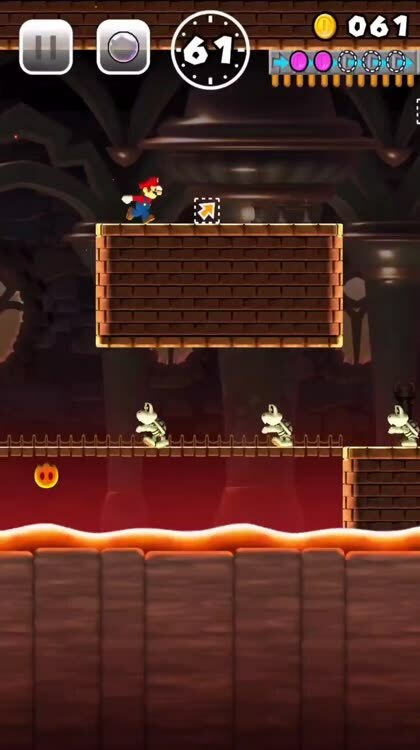 As you go and collect those precious gold coins, you'll also encounter familiar enemies including Goombas, Koopas, Dry Bones, Piranha Plants, and even Bowser. Toad Battle Mode. 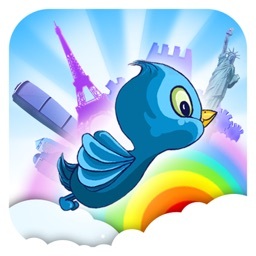 Connect with friends online to race against their best times. 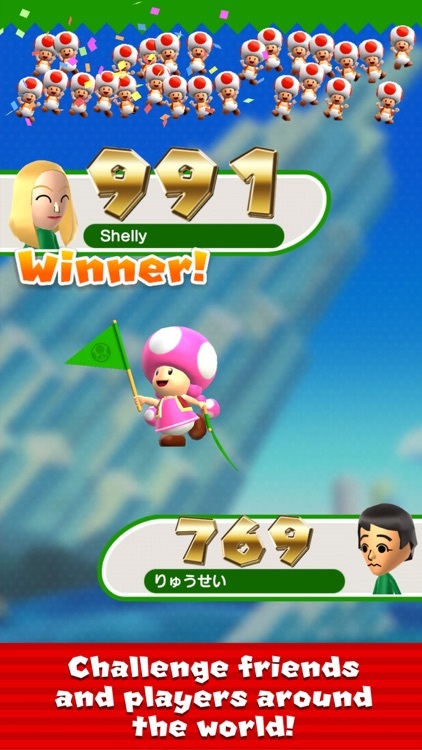 You get to see a ghost of your friend, as you jump through the same course to try to beat their time. 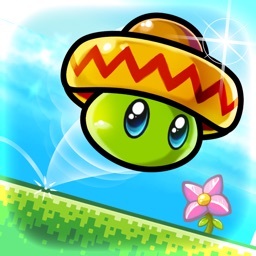 Along the way, you can activate specials and collect toads with daring moves. The toads you befriend can be seen as you build your very own Mushroom Kingdom. 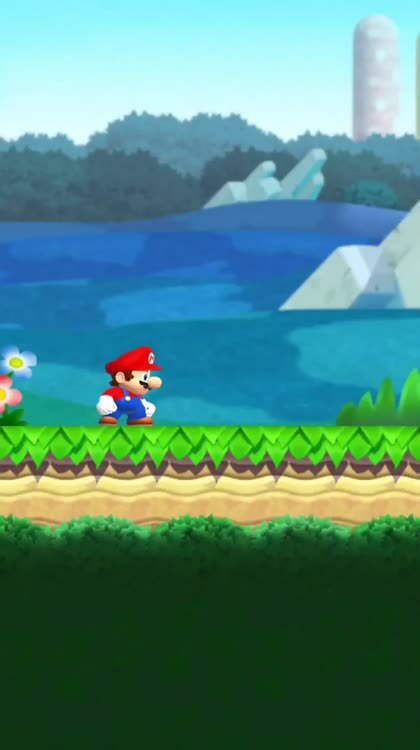 In Super Mario Run, players use simple one-touch tap controls to guide Mario through familiar courses. 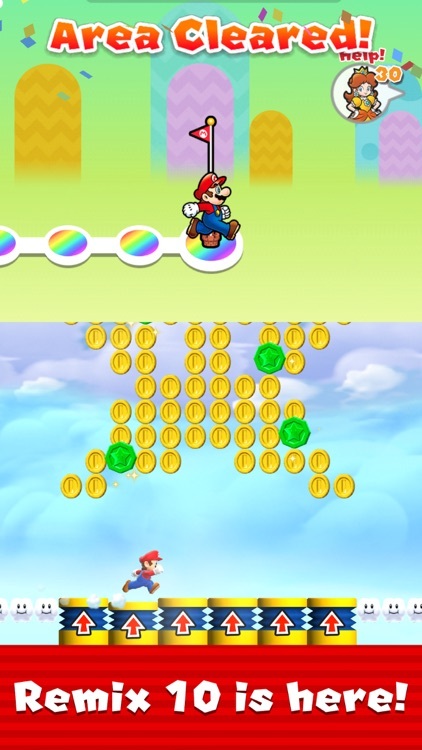 The goal of the game is to collect the coins and reach the end of the course, as indicated by the traditional flag pole at the end. 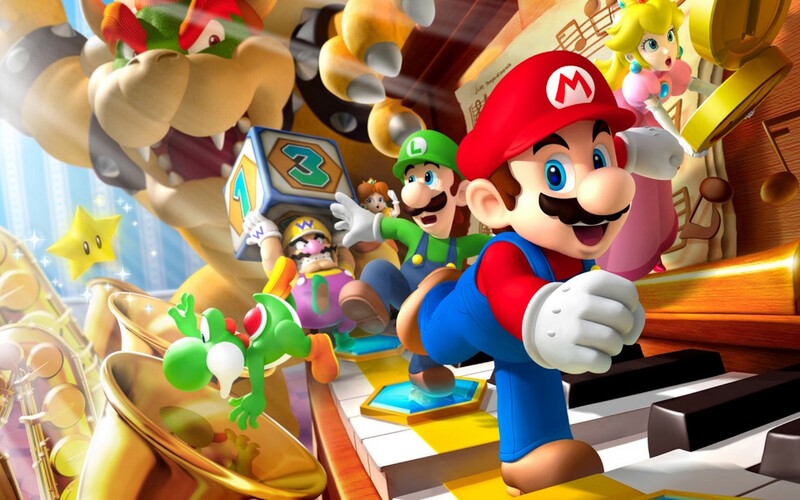 The latest edition of Super Mario Run adds a feature those short on time will love. 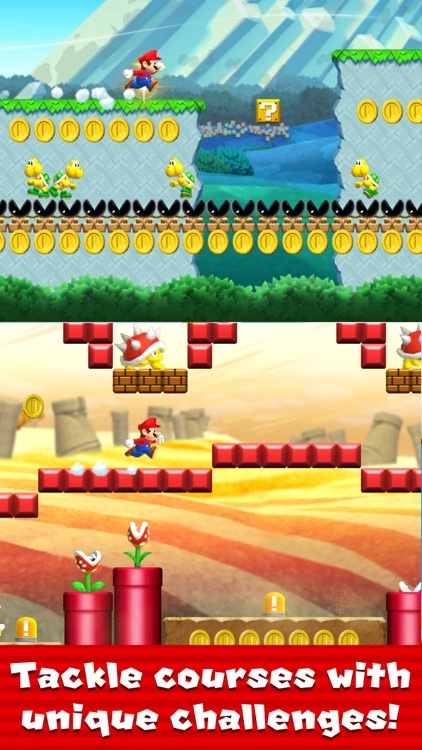 In Remix 10 mode, you rush through short, bite-sized courses to earn bonus coins and try to find Princess Daisy. 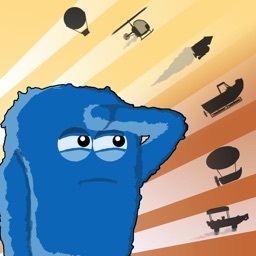 You need a Rally Ticket to play, and the courses change every time you enter Remix 10 mode. 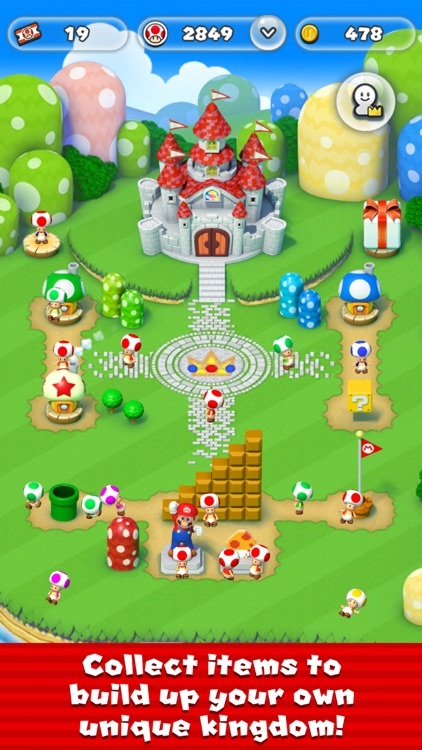 There are new items you can collect to decorate your Mushroom Kingdom. 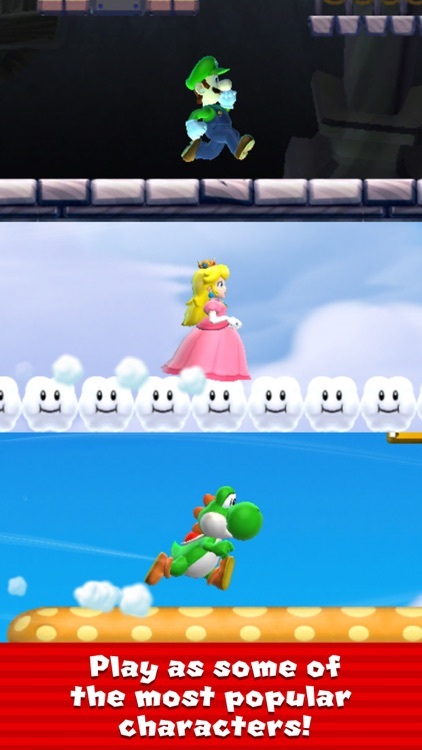 If you play through enough Remix 10 levels, you'll unlock Princess Daisy as a playable character. 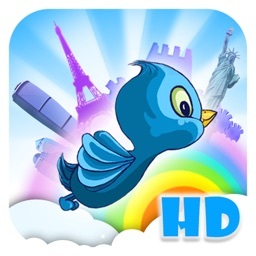 She features the double-jump ability, which can be handy for tall obstacles or lines of coins. 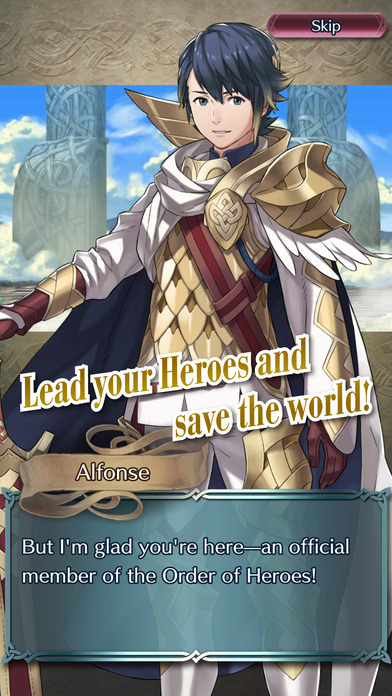 Now you can get your Fire Emblem fix right on your iOS device. 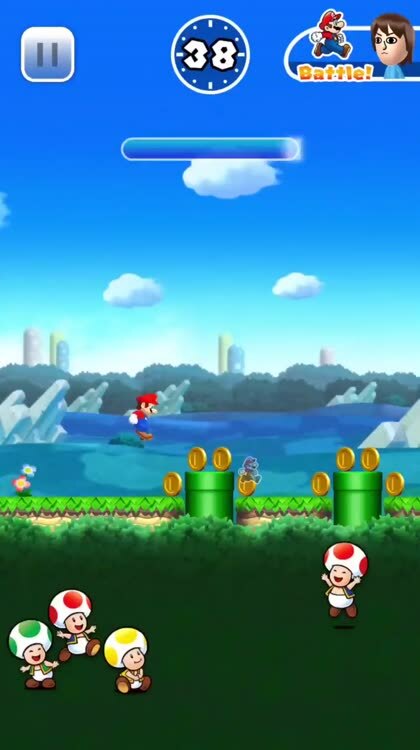 Is Super Mario Run everything you'd ever hoped for in a mobile Mario game? We take an in-depth look.